This is an ambient video for background enhancement of your halloween event. Invite 13 different pumpkins to your party this year. Each Jack-o-Lantern just oozes with spooky, funny and just plain bizarre Halloween spirit as they get you in the Holiday mood. Each one with its own original music, sound effects and animated environment. Or, turn off the environment and place your TV in a window for your very own Virtual Jack-o-Lantern. 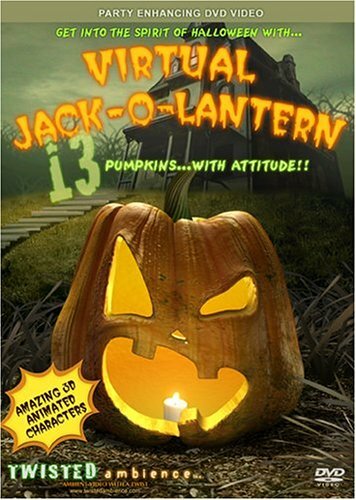 Virtual Jack-O-Lantern, is a series of animated vignettes where in Jack-o-Lanterns come to life and emote within different environments. This is not a movie, it's TV ambience for a party or event. 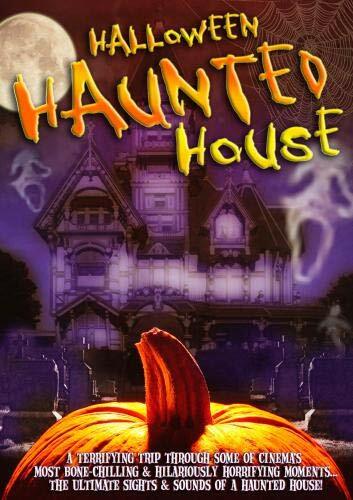 DVD to add atmosphere to a Halloween celebration of any kind, scary but not gory. This is not an animation and is not looped. 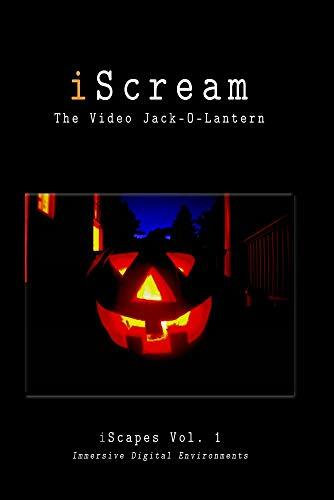 The Video JackoLantern is sixty-minutes of a real Halloween Jack-O-Lantern, complete with flickering candle and optional cricket soundtrack. Avoid the hassle of cleaning and carving a pumpkin. 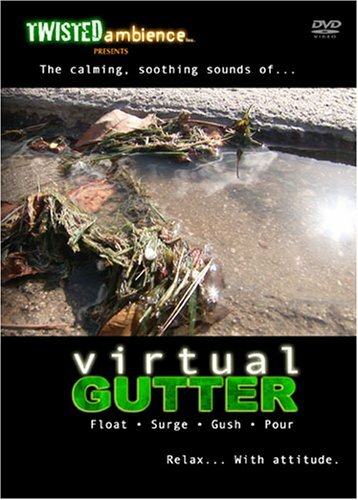 Play it on your laptop, computer, or television. Place it in your window or other dark location and let the full-sized Jack-O-Lantern flicker away. It makes a great decoration for Trick-or-Treaters and party-goers alike. Features an actual carved pumpkin with black background that blends perfectly with your favorite dark room, window, or doorstep. Set your player to loop and it'll go all night. Play it with stereo cricket sound on or off. BigScreamTV Terror Eyes Halloween Video Make GIANT Monsters appear in the dark! 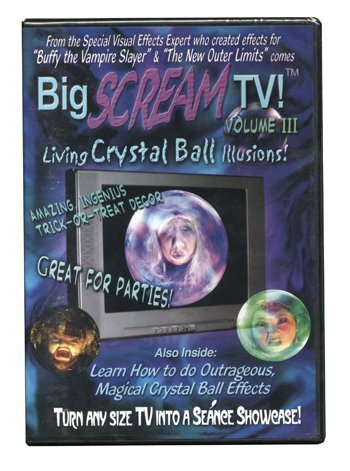 Novelty Video for Use as Visual Wallpaper or Ambient Background for Parties or Feature in Windows to Amaze, Thrill, & Mystify Halloween Trick-or-Treaters. 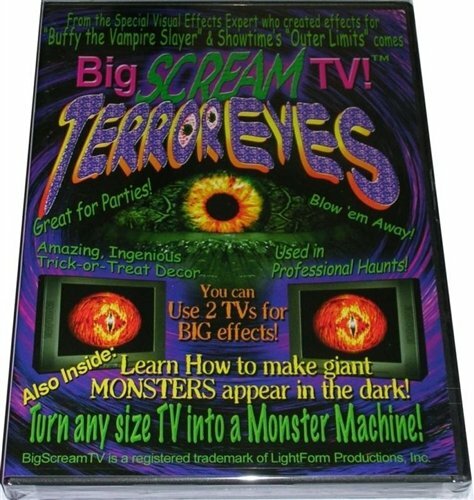 This DVD provides a visual of one or a pair of scary eyes along with vocals and includes 3 Eyes: The Oculus, SnakeEye and Evil Eye. Play one or Play all: Option to select which eye(s) play(s) Play Single or Double eyes: Option to play the eye as one giant image or a pair of smaller eyes. INSIGHT: A Fun Tips & How-To section to give you enough foresight to create stunning tricks that are an eye full! Upon selection, each eye plays indefinitely. All Eyes are accompanied by a soundtrack. Just lay your EYEs on this! BigScreamTV Terror Eyes 2 Halloween Video This Terror Eyes 2 DVD provides a visual of one or a pair of scary eyes along with vocals and includes 3 Eyes: ClownEye, DollEye and MumEye. Play one or Play all: Option to select which eye(s) play(s) Play Single or Double eyes: Option to play the eye as one giant image or a pair of smaller eyes. The ClownEye tells twisted jokes that just kill the audience every night! The MumEye threatens his incarnation, and, best of all, the seemingly innocent DollEye will be the talk of any haunt. There's nothing more scary than a lifeless little dolly. She's gonna just kill you! ScreenscapeS: SNAKE TERRARIUM 1 - VIRTUAL HALLOWEEN SPECIAL EFFECTS DVD - COBRA! 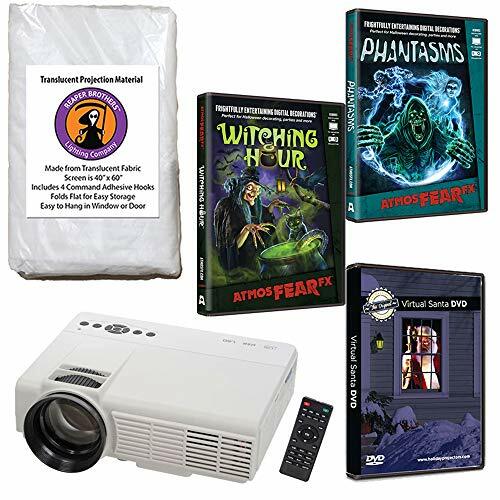 TERRIFYING SOUND & VIDEO EFFECTS: VIRTUAL HALLOWEEN FULL-MOTION WIDESCREEN DVD! !